The Gold Coast Bulletin paid a visit to our Carrara hospital for an exclusive look behind the scenes, this is what they saw. As the fireworks announce the start of 2019, vets and nurses at one of the nation’s busiest emergency animal clinics brace for the onslaught that is New Year’s Day. 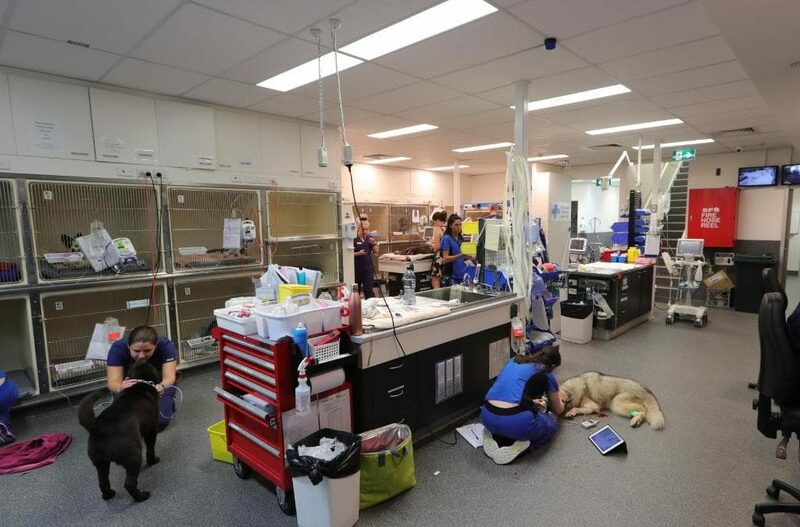 More than 50 animals were seen yesterday by a crew of six vets, nine nurses and two receptionists at the Animal Emergency Services clinic at Carrara. It’s double the amount of staff compared to a ‘normal’ day and it happens every year when vets close for public holidays. Boxing Day is also busy as the 55 Gold Coast vets close their doors for the day, with just AES and another emergency clinic in Varsity Lakes open. On New Year’s Day, the clinic always has a rush of stray animals. This year they had 15, most of which were picked up later that day. Other pets will need more care after twisting their stomach, getting into fights, ingesting poisons or eating rocks overnight. Some need even more care. AES co-founder Dr Rob Website address a common concern of pet owners visiting an emergency vet, the cost. Recent patient Biggie Small’s story meant a lot of people were questioning why pet owners would spend so much on their animals. “How much should you pay for an animal’s life,” he questions. “(One of the) concerns of the people that ask the question of cost: are (we) sitting here to gouge owners because no one else is open? That’s blatantly untrue. “If we wanted to do that we wouldn’t have 15 people in the building doing the best we can. It does cost a huge amount to do what we do, is it the right thing for people to choose? Dr Webster says ultimately, there is no government subsidy for the care of animals. Keeping a person alive on a ventilator costs tens of thousands of dollars each day, but this is covered by the health system so few see the true costs involved. Owners, unfortunately, must foot the bill. But Dr Webster hopes this changes in the future.